SAE 1045 Drop-forged steel top plate and yoke base. “Deep Groove” load and machined component thrust raceways secured by a heat treated bolt and nut kingpin. Available swivel locks and brakes. Call for details. 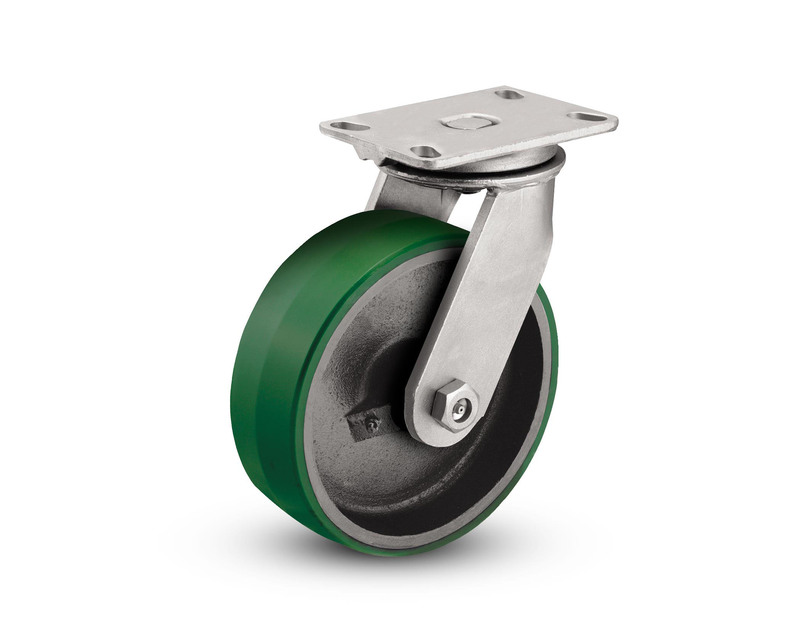 Economical, quiet wheel ideal for use on platform trucks or stock dollies. Floor protective, but may leave rubber scuffs when skidded. Inexpensive and durable. Phenolic wheels are high capacity and floor protective. Phenolic wheels should not be used in applications wet or high moisture applications. 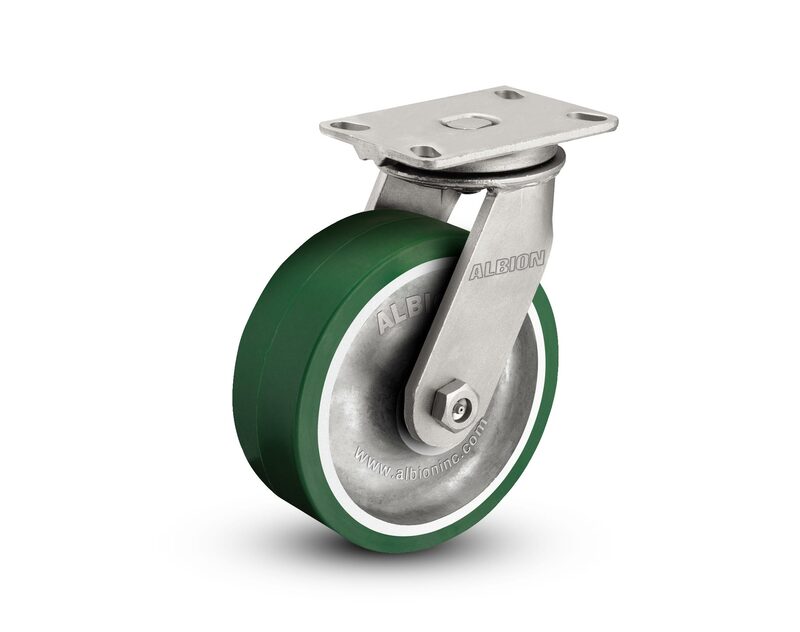 Chemical and corrosion resistant, high-capacity, and floor protection make this wheel perfect for many applications. Durable, high-capacity wheels that fit almost any budget. Polyurethane tread is floor protective and non-scuffing. High capacity and an affordable price. Cast iron wheels are great for heavy loads in industrial environments. Cast iron wheels can damage your floor. 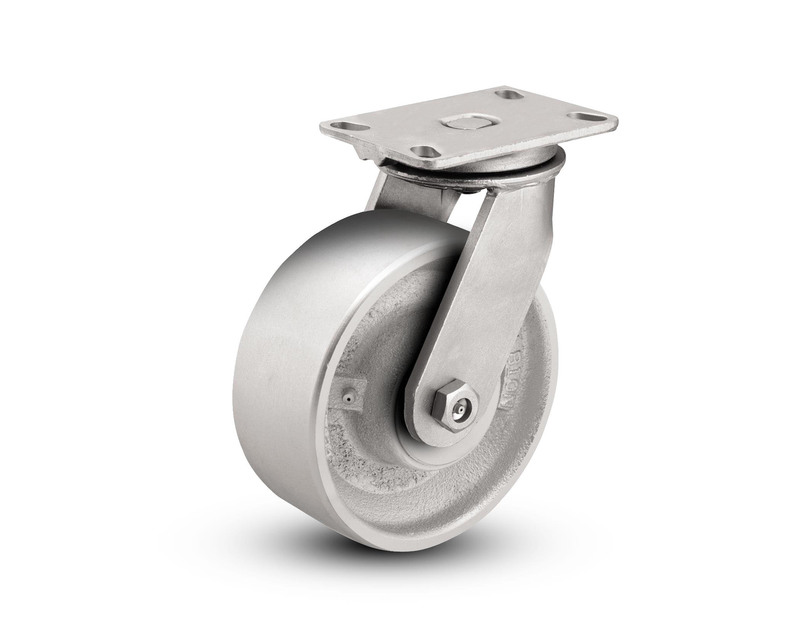 Our highest capacity metal wheel, forged steel stands up to abusive loading and rolls easily. Wheels are die-formed from pre-heated billets of steel. Designed to ride on inverted angle-iron track, v-groove cast iron wheels are ideal for transfer carts, shuttle conveyors, and other process equipment.